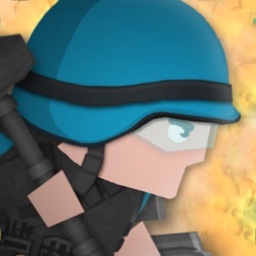 Backup your every move and train your Armies with the excellent military fighting skills in a unique adventurous 2D shooting game Clone Armies. 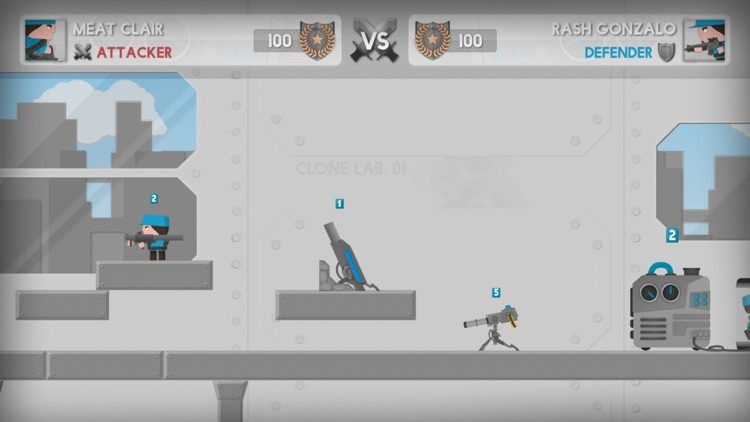 The game is built with amazing features and a unique feature to clone your army and embed them with the same moves. Clone! Fight! Shoot! Die! Repeat! Every additional clone will copy exact same moves you did, when you were playing as it. 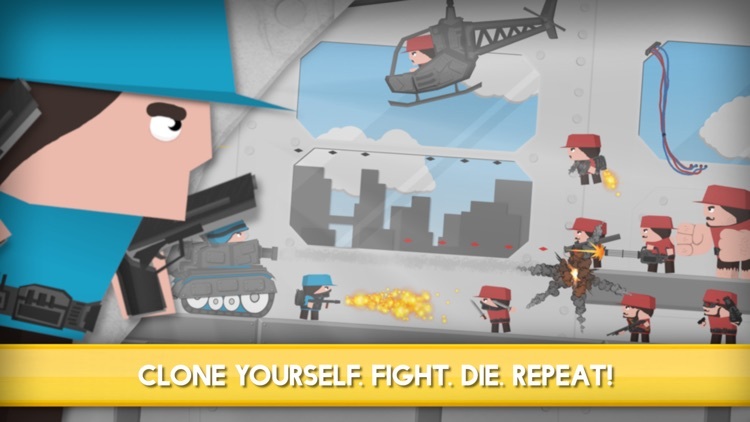 Enjoy an amazing new experience of playing Shooting Game with "Clone Armies". "Clone Armies" has lots of challenging missions with exciting surprises in each mission. Be smart while making your clone as it would do exactly the same move as you had done before. The game is designed in such a way that there are different ways to accomplish the mission. 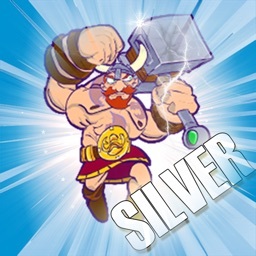 Use your strategic thinking skills and complete the missions. 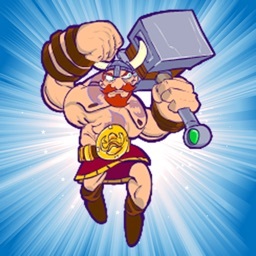 Earn chest-like capsules to unlock rewards, collect powerful new units and equipment and upgrade existing ones. 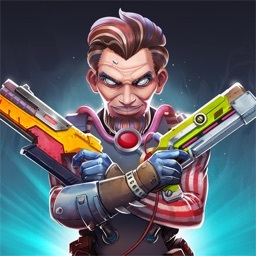 Choose your own units and design your Army with different clones ranging from mini gun wielding soldier to jet-pack or tank. 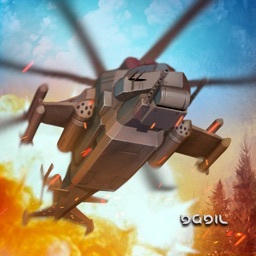 Come and play the most adventurous military game with awesome gaming mechanics and intuitive controls. 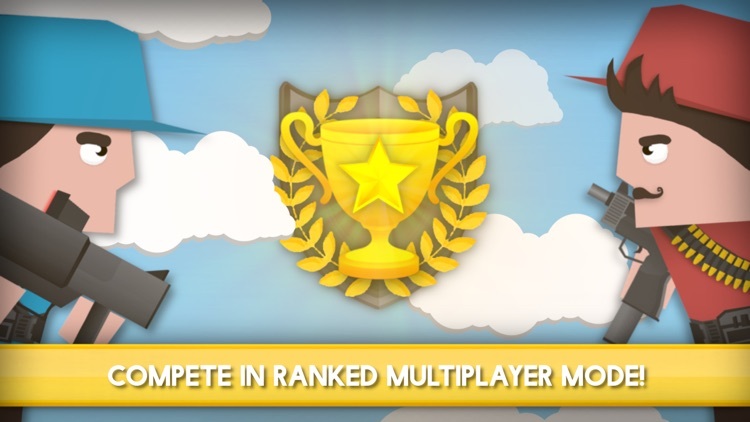 Get ready to beat your opponents in an anticipated 1v1 multiplayer mode. You can play casual battle with your friends or dive right in the ranked matches and climb the leaderboard! 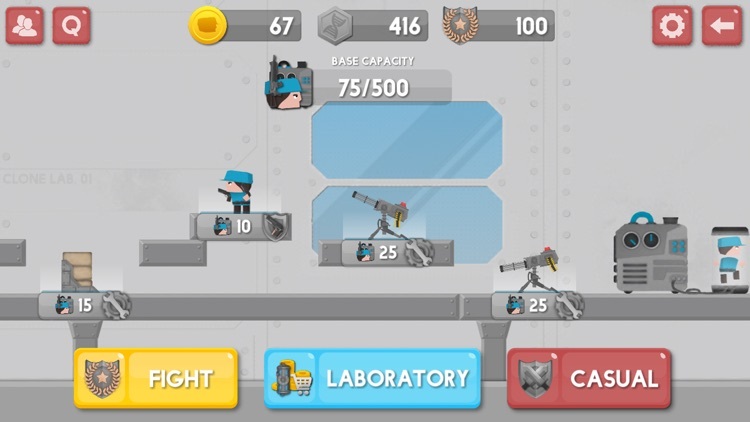 Customize your base with many different types of military equipment and deploy your army of clones to protect your cloning machine – then, crush your opponents base with careful planing and strategy. 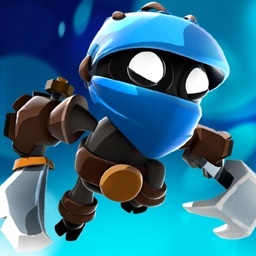 - Earn chest-like capsules to unlock rewards, collect powerful new clones and equipment and upgrade existing ones. 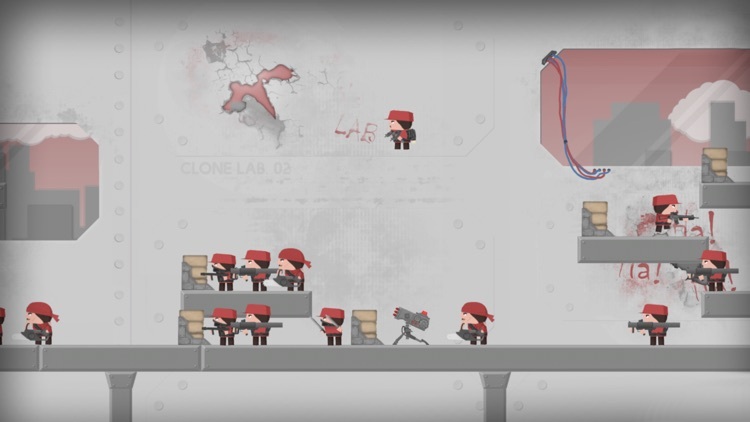 "Clone Armies" is the ultimate 2D shooter game with unique mechanics, multiple game modes including 1v1 player versus player multiplayer and thrilling effects. 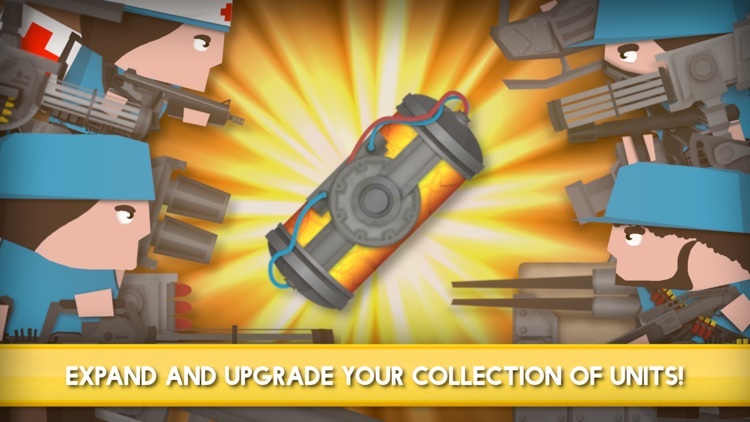 “Clone Armies” is free to download and play, however, some game items can also be purchased for real money. If you do not want to use this feature, please set up password protection for purchases. We are constantly working hard on making the “Clone Armies” game better and more entertaining for you. We need your constant support to get going. Please feel free to email us for any queries/suggestions/problems or if you just want to say hello. We would love to hear from you. If you have enjoyed any feature of the “Clone Armies” game, do not forget to rate us.